As a physician, your job is to know everything about your patients’ physical health. But how much do you know about maintaining your own financial health? All too often, physicians’ busy lives lead them to ignore investing and planning for their own retirement. 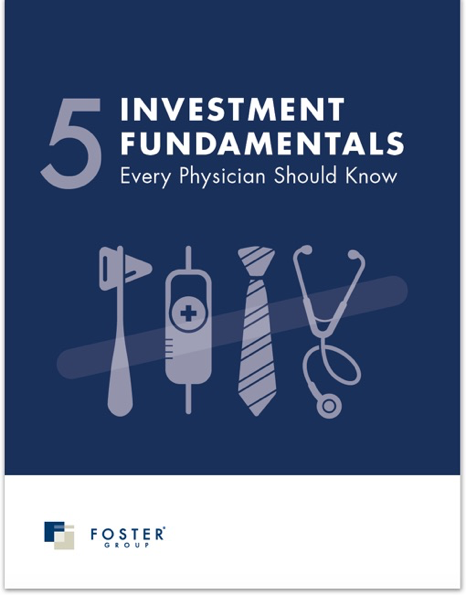 That’s why we’ve compiled five of the most important investment principles for physicians to keep in mind. How to get on the road to making your ideal retirement a reality...and more. PLEASE NOTE LIMITATIONS: Please see Important Advertising Disclosure Information and the limitations of any ranking/recognitions, at www.fostergrp.com/advertising-disclosure/. A copy of our current written disclosure statement as set forth on Part 2A of Form ADV is available at www.adviserinfo.sec.gov.